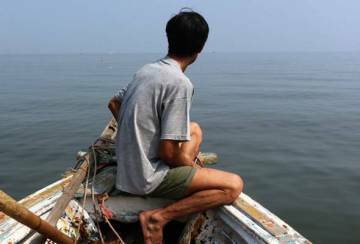 SADEK Ali Hassan is a 44-year-old teacher living in Malaysia. He is also a Rohingya. Sadek has spent over a quarter of a century living outside his homeland. 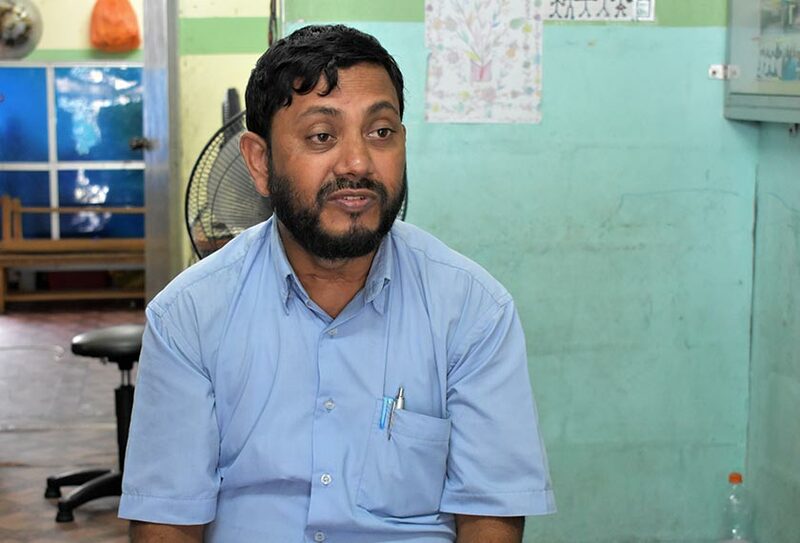 When I meet him in the small, ramshackle madrasah he runs for the children from his community in the Selangor suburb of Ampang, he's at first reluctant to talk about his past. As we chat however, the memories of his village - Taung Pyo Let Yar - close to the Bangladeshi/Myanmar border in the state of Rakhine come flooding back. "My family were landlords. My father alone had over sixteen acres of land. We grew rice, chilies, cabbages, potatoes, tomatoes, tobacco, brinjal, pumpkins - but the most profitable crops were betel leaf and nut. There was so much fruit - bananas, coconut and jackfruit. We even had fish-ponds." “My life was perfect. I went to school and in the evening, I would play with the neighbourhood kids. I loved school. 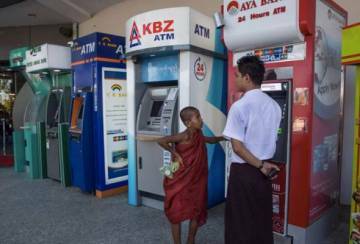 We were taught in Burmese but we'd also learn English. Every morning we'd go the mosque for religious classes then we'd move to the government schools after which we'd return to the mosque again. English was my favourite subject." The idyll was not to last. 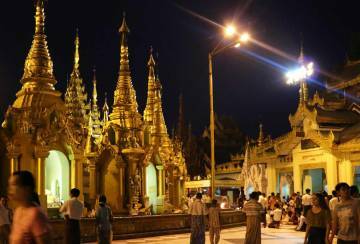 In 1988 as pro-democracy demonstrations swept Myanmar, his corner of Rakhine state joined in the protests. Within a year, new border security forces appeared in his village. Garrisoned nearby, they started picking up locals and forcing them into work-gangs. “It wasn’t long before other security guards came. They opened fire into the crowd. I saw a bullet that went through a man’s waist, and hit another man in the chest. Two people, one bullet. I ran away the next day. That day was 9 January, 1992, on my birthday”. 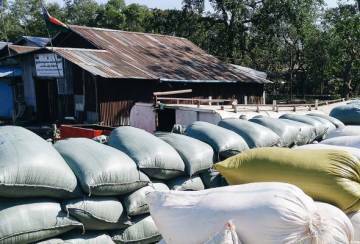 On that fateful day, after having carefully gathered together money from sale of farm produce, he crossed the border to Bangladesh with seven other friends. Sadek is a practical man. 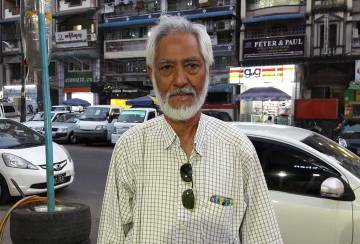 Having spent countless years on the road - organising and writing about Rohingya activities and shuttling between Bangladesh, India and Thailand he finally arrived in Malaysia in 2006. 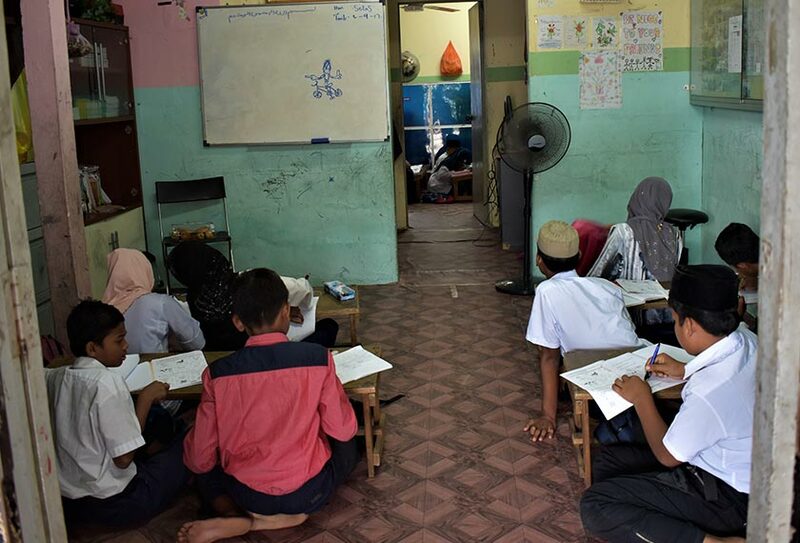 His school with its 103 kids is a bold assertion of hope and determination for a people who are fast becoming the Palestinians of the Southeast Asia. "There are now well over 5,000 Rohingya in the Ampang. Many of the children have missed out on their education. At least here they can learn to read and write. 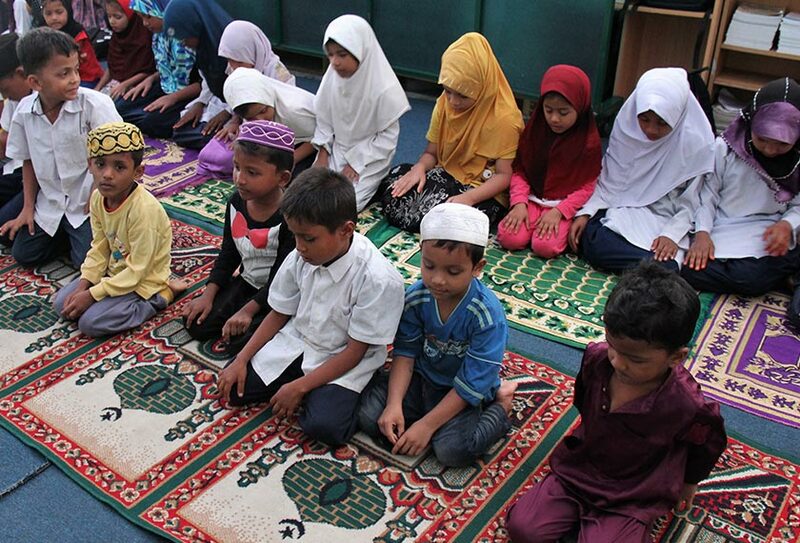 In the mornings, they follow the Malaysian syllabus then they have religious classes in the afternoon." "I want them to have a future. I have a direct interest in all of this because I have four small children of my own. I mustn't give up though there are times when it's all too much. We have children who could become engineers, doctors or judges but they need a home. "I am grateful for the Malaysian government for providing us with a place to live. But I feel like I am in an open prison. I can eat and sleep here. I can live, but I can’t go anywhere. We are like prisoners with an endless sentence… We don’t know how long we will have to live like this. Two years, 10 years, 20 years? We don’t know”. Rent, food and other costs for the school come to MYR8,000 a month, but Sadek is scraping by with only MYR4,000. The condition of the school is a visible challenge - some classes are conducted in the kitchen due to a lack of space. 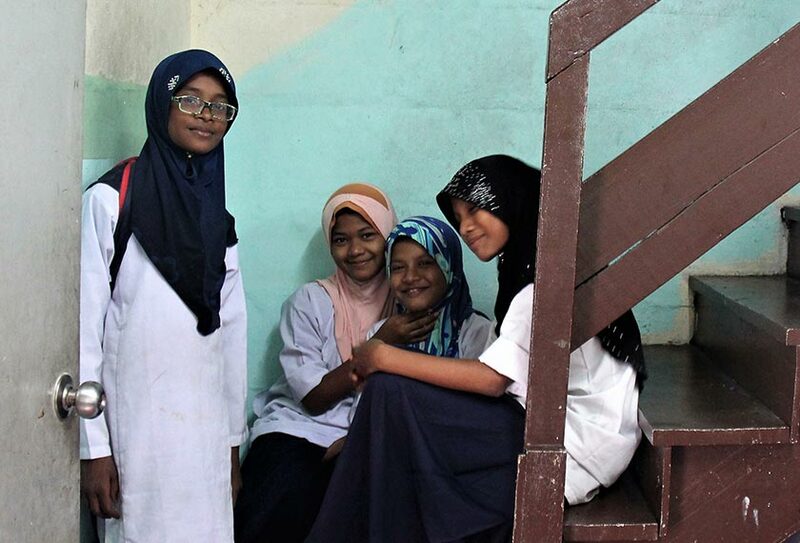 In the wake of the tahfiz school fire in Malaysia that claimed 23 lives, I can't help but be concerned over the risks present in this overcrowded environment. 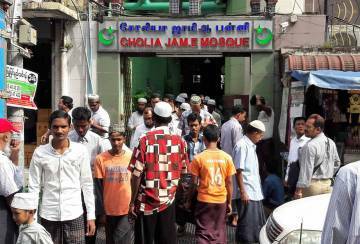 While this madrassah is not a residential school like the one in the incident, the danger still looms. “Sometimes, individuals give donations. But we need something sustainable. I haven’t paid my teachers in months. Even him” - pointing to his nephew. When I asked how he remained so hopeful, he replied: "If I don’t give them education, they will have nothing. We must dream of going home. I just want to give them a ray of hope, so at least they can write their own story. Religiously, I want them to at least understand halal and haram. If I don’t take this responsibility, the time will come where I will face the question: What did you do for humanity?" Our conversation was interrupted as a crowd of children stormed the room, tugging at Sadek’s shirt, vying for his attention. Some 2,000 km away from Rakhine, this school might be one of the few places left in the world that allows Rohingya children to simply be children.